Fever Tree’s tonic water is citrus forward, with fine bubbles and and smooth finish. Fever Tree’s Elderflower tonic water is a refreshing twist on the original version. While most tonic waters are sweetened with cane sugar, Q is sweetened with agave syrup, giving it a distinctive taste. This one is a little bitter, but doesn’t have a ton of cities , so it lets your gin (and whatever else you’re adding to your G&T) shine. Schweppes is going to be ones of the easiest tonic waters out there to find, and it resembles a citrus soda like 7-Up more than anything else. It’s made with high-fructose corn syrup, and is pretty sweet. This is the one you use when you’re trying to cover up the taste of your gin rather than enhance it. Hansen’s tonic water is slightly sweet, with strong orange notes. The tonic water is a little bitter, and has a touch of quinine. It’s not the fanciest of the tonic waters out there, but it uses cane sugar rather than syrup as a sweetener, which makes it just a touch better than some of the other options you might find at your local convenience store. Fentiman’s tonic water is one of the most herbal out there. While it does contain critic acid like some of its competition, it also has lemongrass extract in it contributing to the cities flavor. This can be great when paired with the right gin, but you’ll want to give a few a test drive before diving into a full cocktail. Sometimes the herbal notes can be a touch overpowering, resulting in a less-than-delightful G&T. This summer I’ve been really into gin and tonics. They’re easy to make, delicious, and can change dramatically depending on your gin and tonic water of choice. Gin is something I’ve always paid close attention to, but until this year I wasn’t super specific about the tonic water I selected. Tonic water is tonic water, right? Sure, there are small differences between the different brands, but not enough to make a huge difference in the quality of my cocktail, right? Wrong. The tonic water you select is arguably just as important as the gin you use. 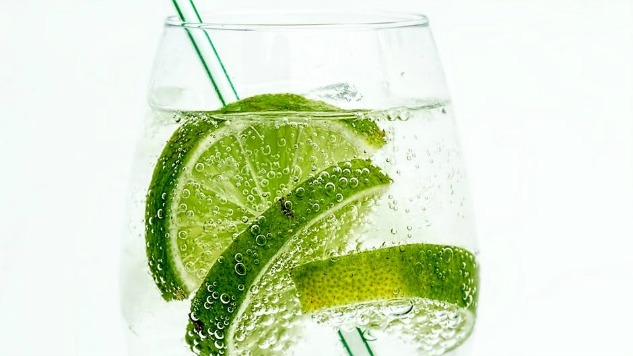 Different tonic waters will add different flavors to your finished cocktail, and will ultimately determine whether or not you’ll actually like it. Think you’re ready to branch out from your standard grocery brand? Here are some of the leading tonic waters out there, and how they’ll impact your Gin and Tonic.